Watch highlights as Gael Monfils battles past Horacio Zeballos in the first round of the Rio Open presented by Claro. Watch Horacio Zeballos show off his athleticism against Gael Monfils in the first round of the Rio Open presented by Claro in this hot shot. 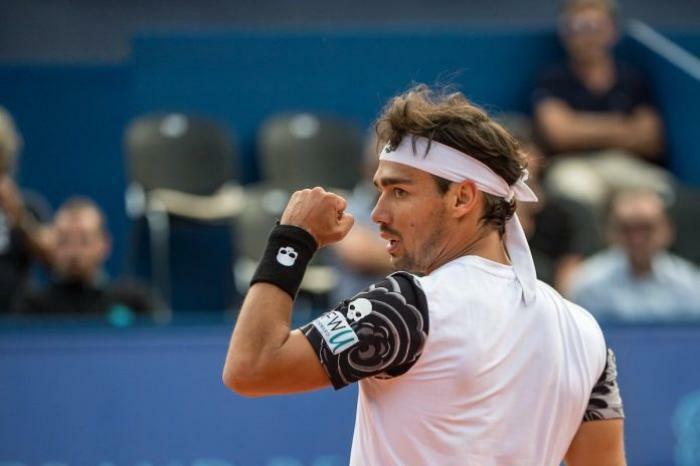 Match highlights from Fabio Fognini's first-round win over Horacio Zeballos on Day 2. Mischa Zverev powered past Australian qualifier John-Patrick Smith 6-4 7-5 to enter the second round of the Brisbane International on Monday. Eighth seed Zverev fired four aces in the match and converted five out of six break points to come through in an hour and 28 minutes. 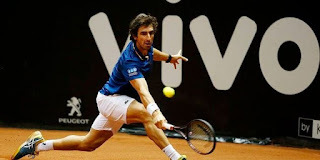 The German will meet the winner of Tuesday's match between Argentine Federico Delbonis and American Michael Mmoh. Earlier, local hope Matthew Ebden dumped out Frances Tiafoe with a 6-3 6-2 victory that set up an all-Australian second round clash with the big-serving Nick Kyrgios. Horacio Zeballos, Alejandro Falla and Lukas Lacko discloses his three toughest opponents they faced on the ATP World Tour in the following 3 videos. Remember that this videos are posted on youtube by fans and they might get deleted because of copyright, so watch it while it´s still online! Rafael Nadal defeated Horacio Zeballos 6-2 6-2 6-3 to advance to the third round of the French Open. Tomorrow, the former Roland Garros champion will face Lleyton Hewitt. Nadal was far happier about his match against Zeballos that he was after his first round win. After some baseline sparring, Nadal burst into life in the fourth game of the first set with three consecutive baseline winners to break Zeballos. A botched drop shot and double fault by the Spaniard gave Zeballos a break point in the third game of the second set but Nadal saved it with a forehand winner and heavy kicking serve. He was not seriously inconvenienced again until he was broken in the third set but he immediately broke back and clinched victory with his serve. Nadal made a mere 12 unforced errors and lost serve only once. “I would be surprised if he did anything different. He cleaned me up, last few times,” said Hewitt. In season 2, episode 15, ATP World Tour Uncovered profiles 2009 Newcomer of the Year Horacio Zeballos of Argentina, who talks about the path taken to get into the Top 100 and the pressure of growing up in same province as Guillermo Vilas. Tune in to ATPWorldTour.com every Wednesday for the latest features and watch the full episode on television. 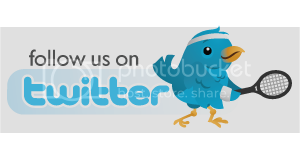 Sam Querrey defeated Wayne Odesnik 7-6 1-6 7-5 to reach the finals of the U.S. Men’s Clay Court Championships. The American will play against Juan Ignacio Chela, who beat Horacio Zeballos 7-5, 6-2, for the title. Querrey overcame an inconsistent serve and then resumed his criticism of Odesnik, who pleaded guilty on March 26 of taking vials of human growth hormone into Australia. Odesnik forced the match to the end and Querrey had to overcome his inconsistent serve to complete the match by breaking Odesnik in the final game. "Very happy that I won; a little streaky at times," said Querrey. "It started when I was down a break in the third at 1-0. I started to pick it up a little; started to hit my forehand a little bigger, especially inside out to his forehand. "He knew how hard he had to work to win his service games; I had break points at 3-4, then 4-5 30-all, and then I finally got him at 5-6. I think he was feeling the pressure." Odesnik’s ace prevented a set point but Querrey won on Odesnik’s forehand error on the next point. Odesnik overcame a break point to hold serve in the third game of the second set and then broke Querrey in the fourth game to take control of the second set. In the third set Odesnik started better. 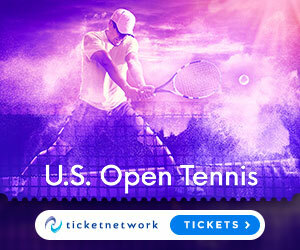 He served two love games and broke Querrey in the fifth game but Querrey broke back in the sixth game and overcame two double faults to hold his serve in the seventh game. He closed out the game with a 131 mph second serve. Chela and Zeballos traded two service breaks each in the first five games of the opening set. Chela broke Zeballos in the final game of the first set. Chela held after five break points in the fifth game of the second set and then broke Zeballos in the fourth and sixth games to end it. Fernando Gonzalez was upset by Horacio Zeballos U.S. Men’s Clay Court Championship. Zeballos broke Gonzalez in the first game of the second set, but had to struggle to hold his serve later in the final set to beat Gonzalez, ranked 11th in the world. Zeballos is ranked 54th. After seeing off one break point in the sixth games, Zeballos escaped three break points in the eighth, aided by three aces. “Zeballos played a good match and I didn’t play my best tennis,” Gonzalez said. Zeballos will face fellow Argentine Juan Ignacio Chela in the semifinals. Chela beat injury-slowed defending champion Lleyton Hewitt of Australia 6-4, 6-3. 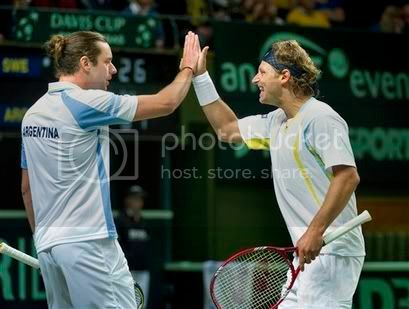 David Nalbandian and Horacio Zeballos defeated Robin Soderling and Robert Lindstedt 6-2, 7-6 (4), 7-6 (5) to give Argentina a 2-1 lead over Sweden at the Davis Cup. The Argentine duo broke twice in the first set Saturday to take a 4-0 lead and had no problems to close the set. In the second was Sweden who had a great start, taking Zeballos´ serve on their way to a 3-0 lead. Nalbandian had to fight to held serve in the next game and was able to save a break point. The Argentines then took their chances by hitting back to take Lindstedt’s serve followed by a tight tie-break 7-4. The third went with serve with neither team forcing a break point for 12 successive games. Soderling was serving at 4-5 in the tie-break and opted to serve and stay back but netted a backhand to hand Argentina double match point. Soderling saved the first with an ace but then Zeballos sealed victory with an angled backhand volley. 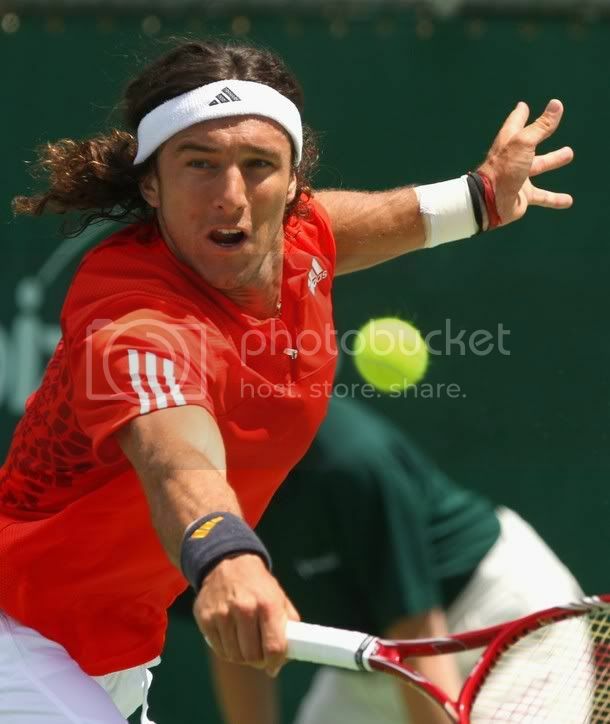 Juan Monaco defeated Horacio Zeballos 6-3, 6-0 to advance to the second round at the Heineken Open in Auckland. Monaco capitalised on four of his nine break points while denying Zeballos his two opportunities to secure the win in 63 minutes. Monaco dropped just two points on serve in the second set. "I think I served really well," Monaco said. "I worked hard in the past month to improve my serve and today I think I served six or seven aces, which is good for me. "Horacio is a very good player. I knew I would have to be patient and wait for my opportunities to win today. I felt he was a little nervous in the beginning and I took advantage of that." Juan Monaco will next face John Isner. The Argentine said his second-round match would be more testing. “Isner is very difficult because you can’t get any rhythm going against him. He just serves very well,” he said. Sergiy Stakhovsky and Horacio Zeballos prevent an all-Russian final with victories over Marat Safin and Igor Kunitsyn Saturday in the St. Petersburg Open semi-finals. 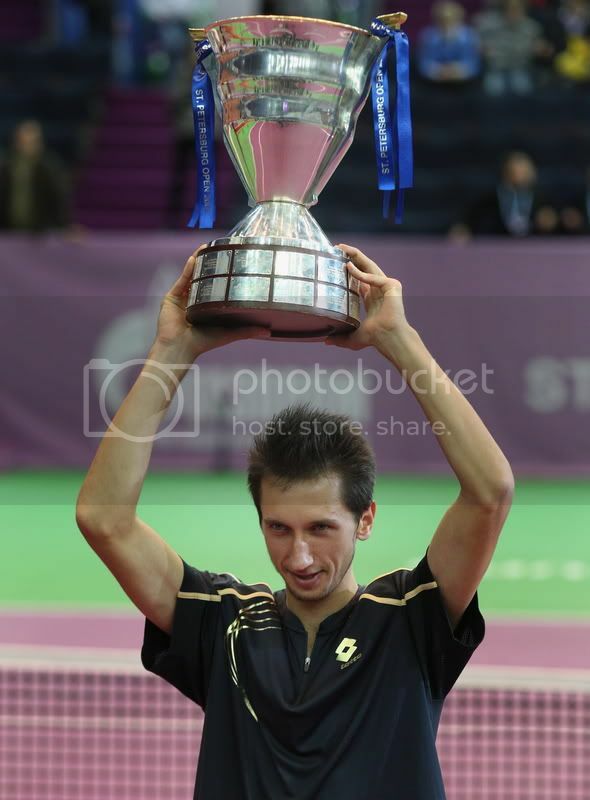 Andriy Stakhovsky defeated Horacio Zeballos 2-6, 7-6 (8), 7-6 (7) to claim the St. Petersburg Open title. Stakhovsky saved a match point in the third-set tiebreaker, and sealed the win with a backhand volley on his second match point. 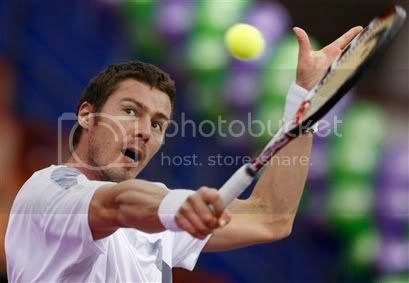 Marat Safin was upset by Andriy Stakhovsky 6-4, 4-6, 6-4 in the St. Petersburg Open semifinals. Safin is playing his last season on the ATP Tour and will enter his last tennis event at the Paris Masters. Stakhovsky will play Horacio Zeballos, who defeated Igor Kunitsyn 7-6 6-3. “He has never played in a final so obviously he should be nervous tomorrow. Besides I don’t want to face Kunitsyn because playing a Russian in Russia is never easy,” said Stakhovsky about the final.